The stainless steel (or stainless steel) alloys are characterized by a high resistance to corrosion, as moist air to fresh water. The corrosion resistance is due to the presence of alloying elements, primarily chromium, able to passivate, that is, to become covered with a layer of oxides and adherent thin, virtually invisible. The stainless steels are characterized by a carbon content generally less than 1.2%. The discovery of stainless steel is to be English Harry Brearly Sheffield UK . In 1913, experimenting with steel rods for firearms, he discovered that his audition steel with 13-14% chromium and with a relatively high carbon content (0.25%) was not rusting when exposed to the atmosphere. The Franco Lapini, Company Founded in 1963. 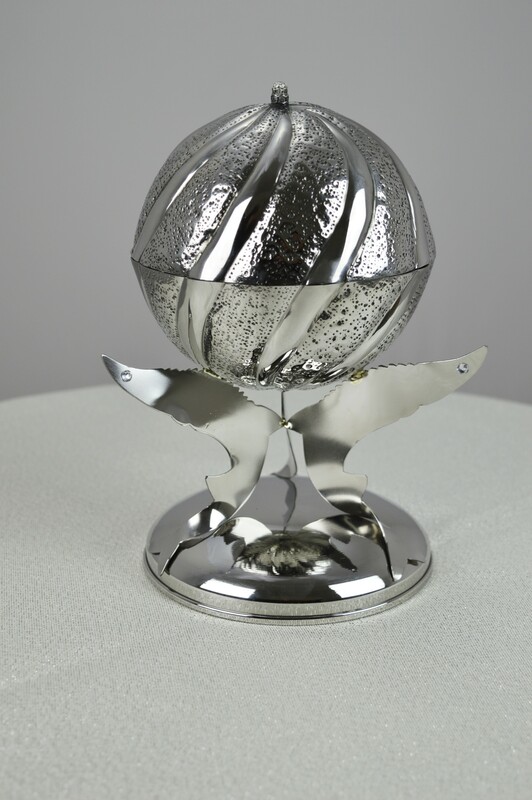 Famous for His original and unique collections of Silver and silver plated, using materials such as silver and brass, to carry through the art of embossing and chisel unique items, tableware and interior decoration. Our policy has always been “Tradition and Innovation”. From our experience of over 50 years of business, we present a new collection of objects made by hand according to our policies. Stainless steel AISI 316L worked exactly as the silver metal , a combination of art,and excellent in everyday use. Excellent resistance to oxidation, promotes this line suitable for use without any problem, boats, yachts, sea areas, Restaurants Hotels, and also at home and with a very low maintenance make these products a novelty in this section ,Always ensuring elegance, uniqueness and exclusivity.